This diamond engagement ring is stunning! A beautiful 1.19 ct oval diamond is semi bezel set atop this unique mounting. The shank is 14k white gold, etched in a way that it appears to be three bands in one. The semi bezel is 14k yellow gold and appears to start at the side of the ring and swirl up to hug the large diamond from either side. 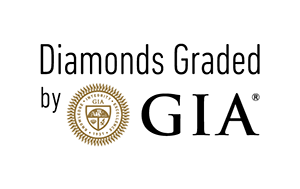 The diamond is GIA certified as SI1 clarity and G color.